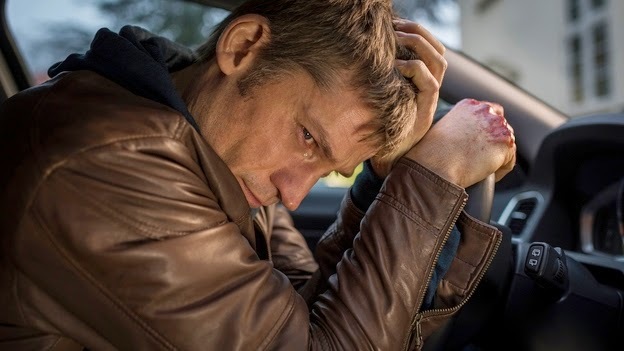 A SECOND CHANCE is an intense and haunting drama from the Danish auteur Susanne Bier. She specialises in closely observed beautifully shot film that show what happens to ordinary people in difficult circumstances. In this film she looks at motherhood - the prejudices surrounding it, stresses entailed and the strange and powerful reactions to grief. As the film opens, there are two contrasting couples with baby boys. The first - Tristan and Sanne - are junkies, and their baby Sofus is horribly neglected. This is set against the picture perfect couple of Andreas (Nikolaj Coster-Waldau) and Anna and their son Alexander. At first, our sympathies are utterly with Andreas and his police partner Simon (Ulrich Thomsen) - a kind of casual middle-class prejudice at the parenting suitability of the junkie couple. But the genius of this film is to turn around our preconceptions about what a good mother is and just how far a parent will go to keep a child with them. To say more would be to give away crucial plot points that motivate the narrative. Suffice to say that this is an exceptionally well-made and acted film. Nicolaj Coster-Waldau gives what is surely a career-best performance. But I also really liked May Andersen as Sanne. Ultimately this is a movie that should be remembered for how it made us feel about parenting - and the right of a parent to be respected in that role, and the need not to rush to judgment. A SECOND CHANCE has a running time of 105 minutes. A SECOND CHANCE played Toronto and London 2014 and opens in Sweden and Denmark on January 15th.